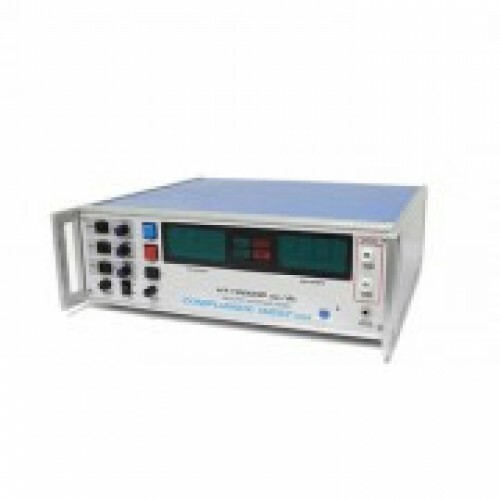 HT-10KVPAC/DC Hipot Tester, 0-10KVac @ 10mA / 0-14KVdc @ 5 mA. Ships complete with cables, manual, and Calibration Certificate. Made in the USA. Calibration and Repair services available. Not sure - contact us! HT10000P AC: AC output to 10000 Volts. Delivers 1 through 8 milliamps. Custom outputs to 25 mA. 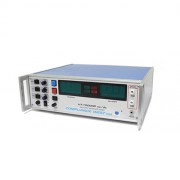 HT10000P DC: DC output to 14000 Volts. Delivers 1 through 5 milliamps. Logic Controlled, One-button testing. LED indicators. Buzzer upon failure, test terminates. Test termination defeatable by switch on rear panel. Provided with arc detection circuit to properly detect hipot failures. Rear panel adjustments; leakage limit, ramp time, test time and voltage. Ergonomic design for safety and ease of use. Automatic voltage ramp-down circuit eliminates residual voltage. Designed for product development and laboratory use. High efficiency design, low power consumption.